Stop off with your pooch mid walk/bike ride for refreshments, all we ask is that dogs are kept on a lead. 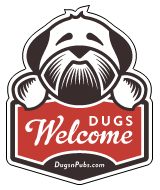 There are a total of 5 dog friendly listings in the Innerleithen category. Please log in, or sign up as a member to view all listings.